Such an amount as the Assessing Officer may impose but not exceeding the amount of tax. Minimum : 100 per cent of tax leviable in respect of undisclosed income Maximum : 300 per cent of tax leviable in respect of undisclosed income. A sum equal to 50% of the amount of tax payable on under-reported income. Failure to comply with notice issued under section 142(1) or section 143(2) and direction for audit under section 142(2A). Rs. 10,000 for each failure. This section shall not apply to and in relation to any assessment for the A.Y commencing on or after the 1st day of April, 2017. 100% to 300% of the tax evaded. This section shall not apply to and in relation to any assessment for the A.Y commencing on or after the 1st day of April, 2017. 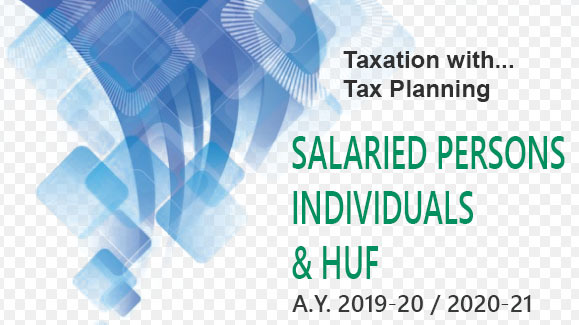 Not exceeding 150 per cent of difference between tax on partner’s income assessed and tax on income returned, in addition to tax payable This section shall not apply to and in relation to any assessment for the A.Y commencing on or after the 1st day of April, 2017. Failure to keep and maintain information and documents required in respect of international transaction or specified domestic transaction, failure to report such transaction, etc. 2% of the value of each international transaction or specified domestic transaction entered into by the taxpayer. 10%, 20% and 60% of the undisclosed income, as the case may be. 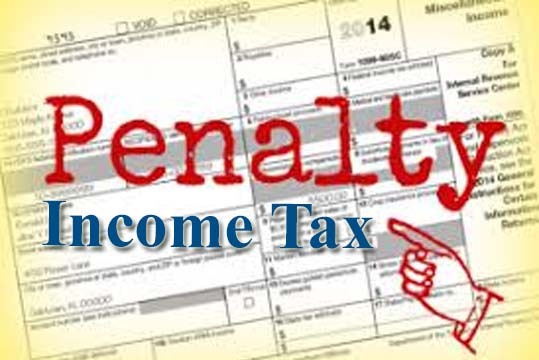 Penalty where income includes any income referred to in Section 68, Section 69, Section 69A, Section 69B, Section 69C or Section 69D. An amount equal to tax not collected. Taking or accepting certain loans or deposits or specified sum* in contravention of provisions of section 269SS “Specified sum” means any sum of money receivable, whether as advance or otherwise, in relation to transfer of an immovable property, whether or not the transfer takes place. An amount equal to loan or deposit or specified sum so taken or accepted. 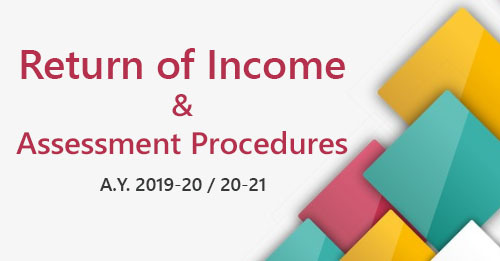 Failure to furnish statement or information or document [as required under Section 9A(5)] by an eligible investment fund within the prescribed time-limit. Failure to furnish information or document under section 285A* by an Indian concern. *Section 285A provides that where any share or interest of foreign company derives its value substantially from assets located in India, and such company holds such assets in India through Indian Concern then such Indian concern shall furnish the prescribed information to the income-tax authority. Rs. 5,000 for every day during which the failure continues. Rs. 50,000 for every day for which such failure continues beginning from the date of serving such order. Failure to inform about inaccuracy in report furnish under section 286(2) Or furnishing of inaccurate information or document in response to notice issued under section 286(6). Failure to furnish information or furnishing of inaccurate information under Section 195(6) in respect of payment made to non-residents. Failure to co-operate with the tax authorities, (i.e., not answering any question, not signing statements, etc.) or failure to comply with notice issued under section 142(1)/143(2) or failure to comply with direction issued under section 142(2A). Rs. 100 per day for every day during which the default continues.